13,620 sqft. 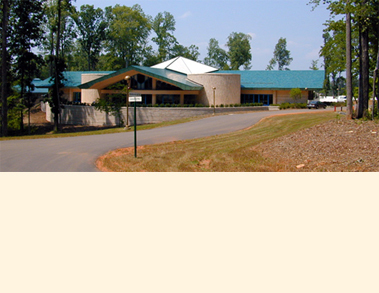 single-story full-service dining facility centrally located within the residential region of the 100-acre American Hebrew Academy campus. The building can seat up to 1,000 individuals, students and faculty. It also serves as a multi-purpose room for student social functions and activities. A large, tent-shaped translucent skylight washes the dining area with natural daylighting. When the weather is inviting, students and faculty can dine on a generous-sized exterior patio and enjoy the beauty of the natural wooded site.